Odeon Leicester Square. 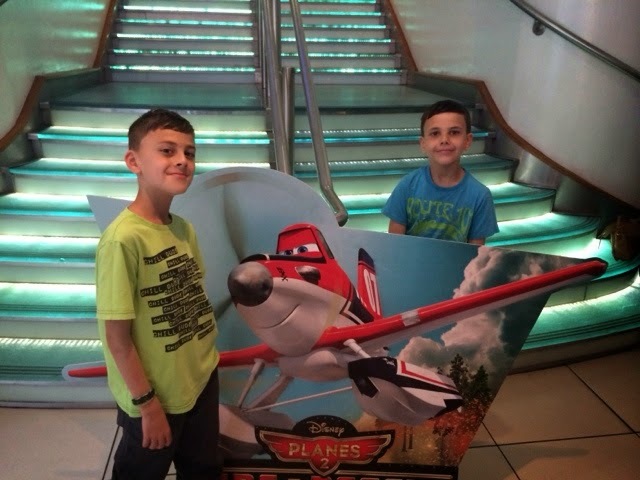 We really loved the first movie Planes so we were really intrigued to see what Planes 2 Fire and Rescue could offer. We are super excited to see Dusty (voice of Dane Cook) back in this cool new adventure, We couldn't wait to watch the movie, We were awe to learn form the movie director Bobs Gannaway (Secret of the Wings) that it took two and a half years to get the fire effects of the movie as realistic as possible and the movie was researched with real life fighters to ensue this movie was at its very best, This made us even more excited to watch the movie. Dusty soon learns what it takes to be a true hero. 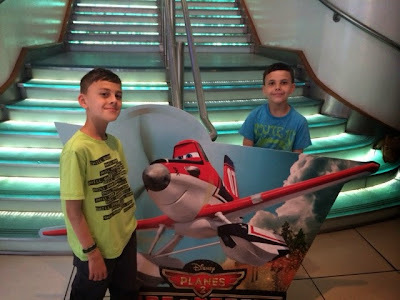 We really loved every moment of this movie, the cool fire effects gave an awesome realistic feel to the movie whcih left us on the edge of our seats, My boys were totally gripped and fascinated with the cool characters, and the ever changing scenery and 3D effects. The storyline was gripping, great for children and adults alike. Another truly amazing movie form Disney. Planes 2 Fire and Rescue left us wanting to watch the movie all over again. 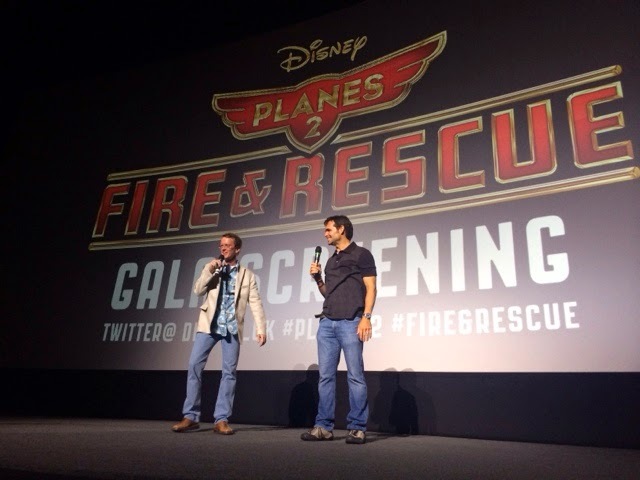 Planes 2: Fire & Rescue blazes ahead with innovative virtual reality experience touring the UK this summer! Check out the cool game!!! To celebrate the release, Disney is giving fans the incredible opportunity to ‘Save The Day’ and experience the thrill of being a member of the Piston Peak Air Attack Team. The ‘Save The Day’ virtual reality game uses Microsoft’s ground breaking Kinect for Windows v2 technology to put fans right in the middle of the airborne action by becoming firefighting characters Dusty and Dipper, as they race to protect the Piston Peak National Park. Players can take off and enter the heroic world of aerial firefighting as they scout the Park for signs of fire. Fans will get an exclusive insider look at all the action of the upcoming film by performing the vital manoeuvers necessary to extinguish blazes, including daring water collection and exciting drops! Developed by Disney, in partnership with augmented reality specialist Apache, the ‘Save The Day’ virtual reality experience uses the Microsoft soon to be released Kinect for Windows v2 sensor and Software Development Kit (SDK 2.0) to take user interaction to the next level, allowing for greater overall precision, responsiveness and intuitive capabilities. The ‘Save The Day’ virtual reality game will be placed in foyers of selected ODEON Cinemas and Disney Stores across the country. It will also be touring the UK this summer in a special Planes 2: Fire & Rescue fully interactive fire engine which will be visiting airshows and festivals, educating children on the importance of fire safety and featuring a host of fun games and activities for fans to take part in.